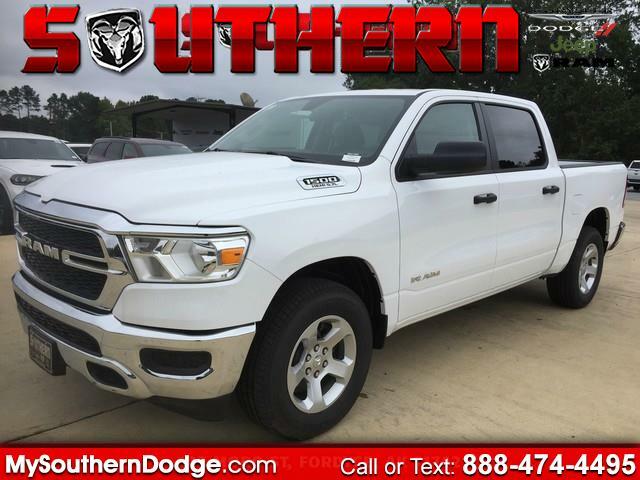 This 2019 Ram 1500 Tradesman 4x4 Crew Cab 5'7 Box is proudly offered by Southern Chrysler Dodge Jeep Ram Tackle any terrain with this 4WD Ram 1500 Tradesman 4x4 Crew Cab 5'7 Box. Off the road or on the parkway, you'll drive with confidence no matter the weather conditions or landscape. This is about the time when you're saying it is too good to be true, and let us be the one's to tell you, it is absolutely true. You can finally stop searching... You've found the one you've been looking for. There is no reason why you shouldn't buy this Ram 1500 Tradesman 4x4 Crew Cab 5'7 Box. It is incomparable for the price and quality.